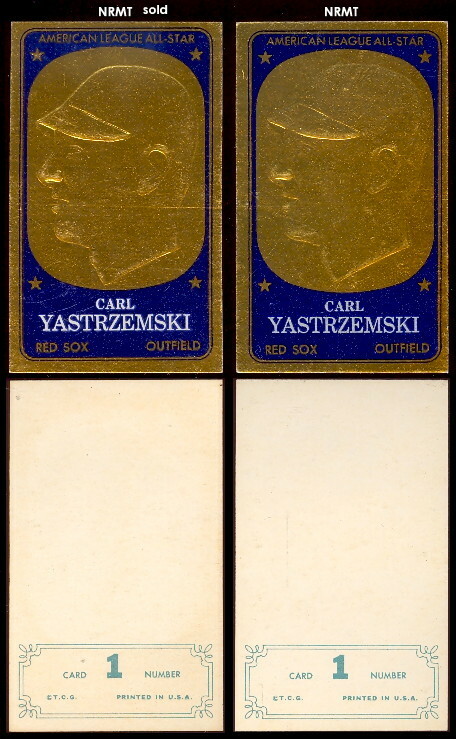 Inserted in regular packs, the 2-1/8" by 3-1/2" Topps Embossed cards are one of the more fascinating issues of the company. 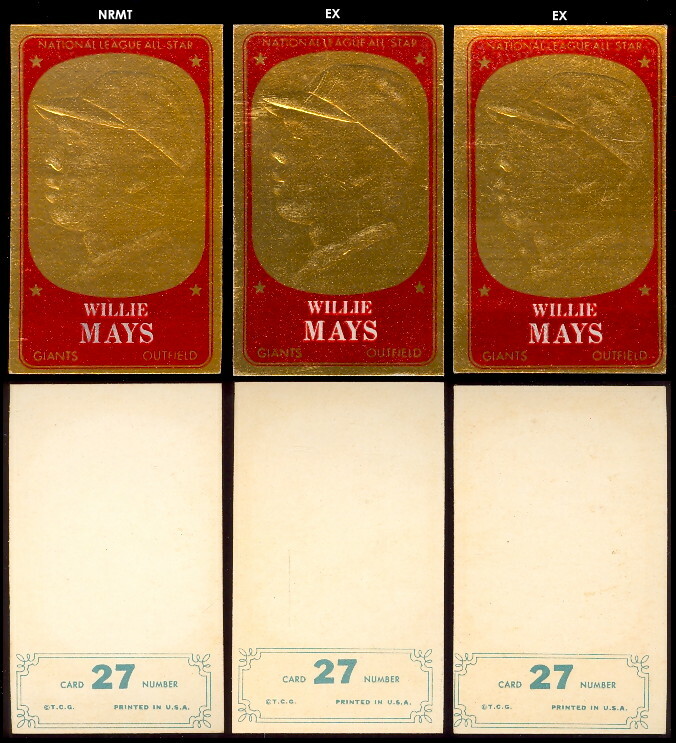 The fronts feature embossed profile portrait on gold foil-like cardboard (some collectors report finding the cards with silver cardboard). 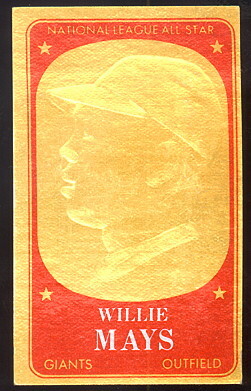 The players name, team and position are below the portrait which is good, because most of the embossed portraits are otherwise unrecognizeable. 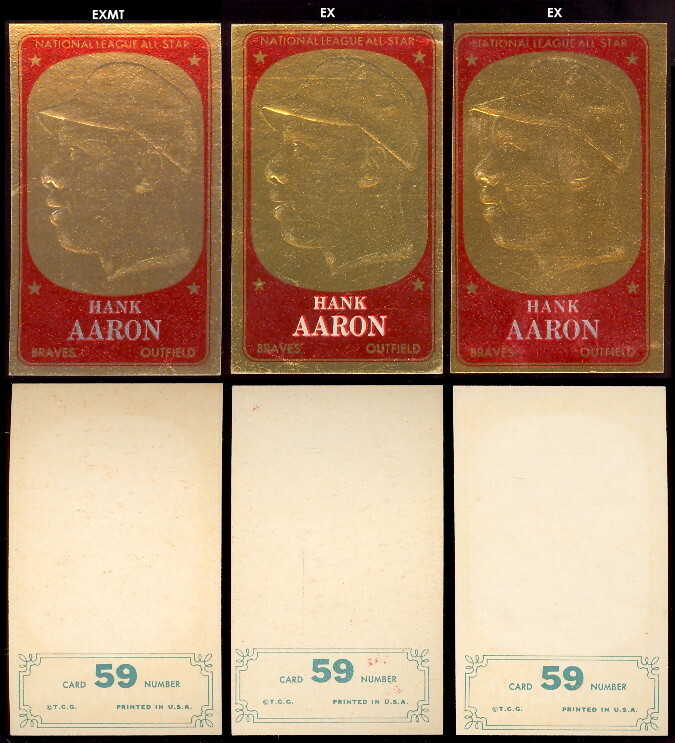 There is a gold border with American players framed in blue and National Leaguers in red. 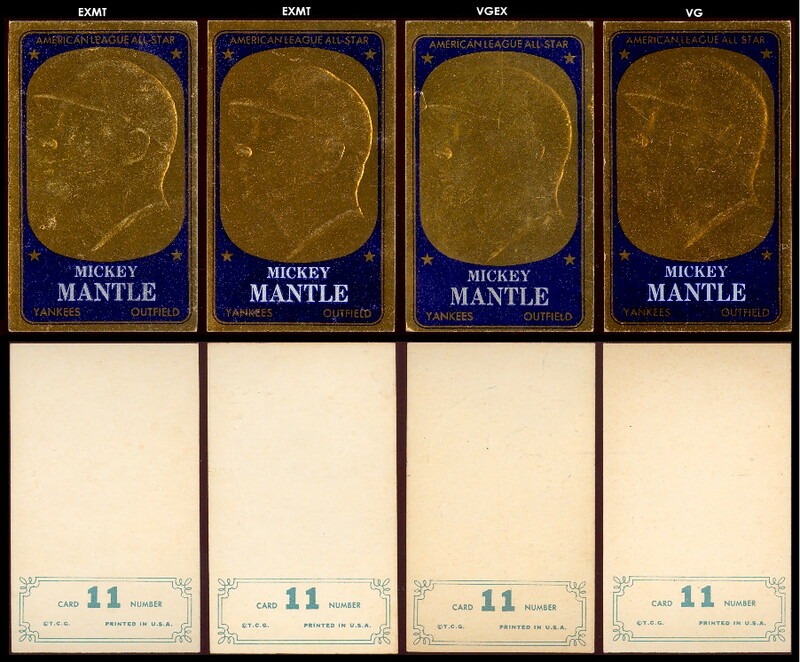 The set contains 72 cards divided equally between the leagues. 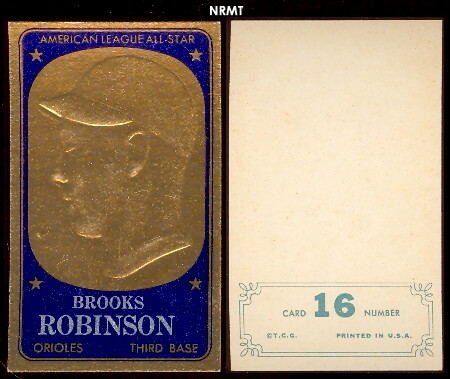 The set provides an inexpensive way to add some interesting cards to a collection. 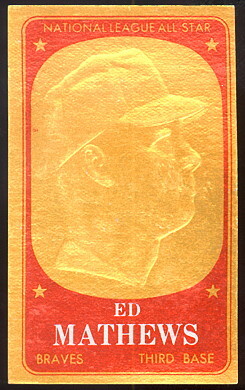 Being special cards, many stars appear in the set.